Smooth and comfortable motorway cruiser. Excellent in town with the 1.0 TSI petrol engine. All models are well-equipped as standard. Lumpy gearing for 1.5 TSI Evo engine. Lots of wind noise, even at low speeds. Drab interior. 5-seaters rendered 4-seaters by centre rear seatbelt buckle fault. 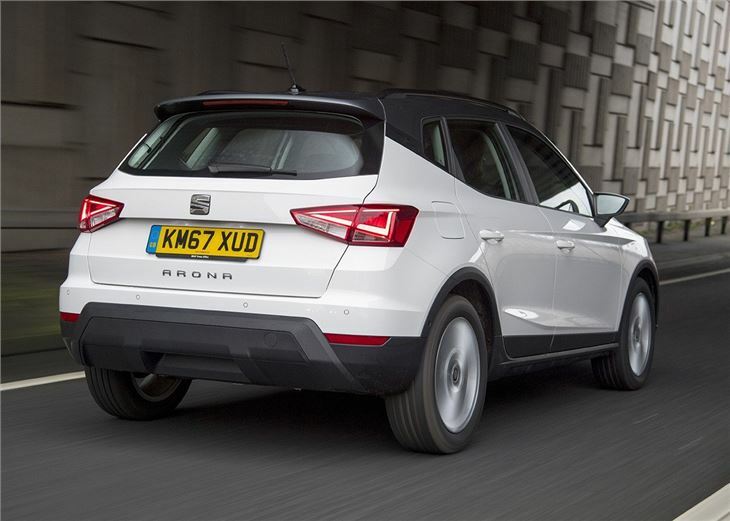 The SEAT Arona is proof that bigger isn't automatically better when it comes to crossovers. 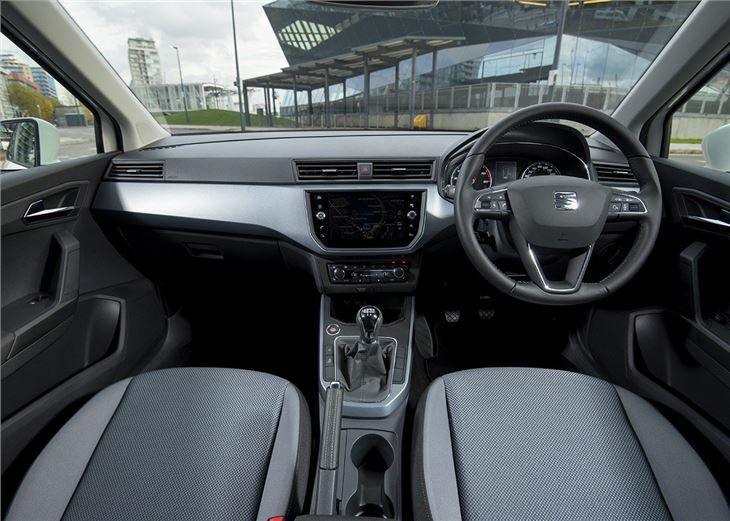 More comfortable, practical and desirable than the majority of its rivals, the Arona is one of the best all-rounders in the compact crossover market, while its excellent range of petrol engines make it a great choice for those who want to avoid diesel. 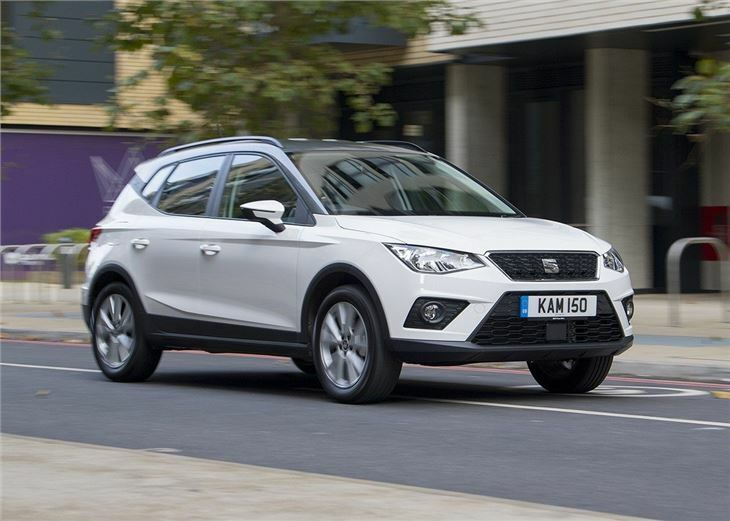 Despite the visual similarities with the Ateca, the Arona doesn't actually share any of its major components with SEAT's medium size SUV; it's actually based on the same platform as the fourth-gen Ibiza. And that's good news for those who value comfort and value over performance and handling. For sure, it's not the most engaging of drives, but the Arona is smooth and predictable. The ride quality is also excellent and even sportier models on firm suspension and 18-inch wheels feel comfortable on rough roads. The only area of annoyance is the abundance of wind noise; fit the optional roof rails and the problem becomes quite noticeable at motorway speeds. That said, the Arona gets all the fundamentals right. In terms of size, it's similar to the Juke and Captur but its 400 litre boot capacity is far superior to the 354 litres in the Nissan and 377 litres in the Renault. 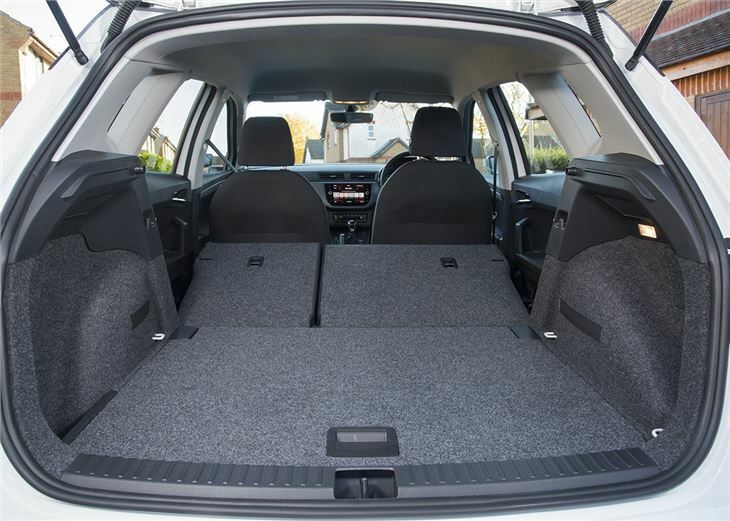 You also get better comfort in the back with plenty of head and legroom to transport two adults in the rear seats over a long journey in comfort. The Arona works best with petrol-power, with the star of the show being the three-cylinder 1.0 TSI. 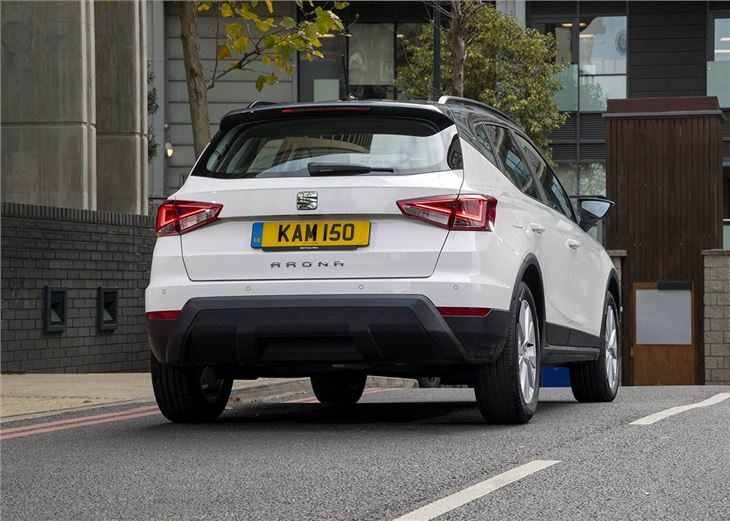 Not only is it smooth and hushed on the motorway, but it also promises an official 57.6mpg which means you no longer need to default for diesel when it comes to low fuel costs. Most engines are offered with a manual or DSG automatic transmissions. While it might seem quite expensive against its rivals, the Arona comes with a lot of equipment as standard. Even basic SE models get 17-inch alloy wheels, two-tone metallic paint, LED daytime running lights and a 5.0-inch colour touchscreen. SE Technology trim adds parking sensors and a large 8.0 inch screen to the dash, along with navigation and full link connectivity for a mobile phone. Only those who want sporty styling or plush interiors will need to spend more on FR or Xcellence spec. List price aside, we think the Arona is one of the best all-rounder compact crossovers. 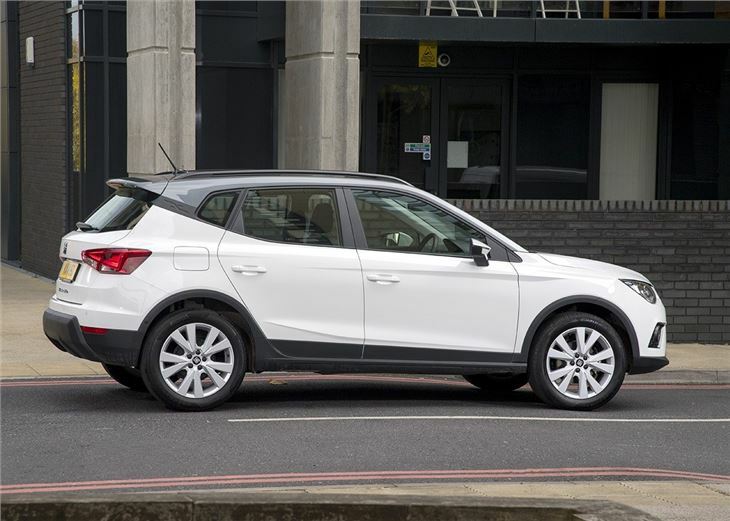 More comfortable than the Captur and more practical than the Juke, SEAT's second crossover is another success story for the Volkswagen-backed carmaker. In fact, to find a genuine rival, you have to look towards the T-Roc. However, badge snobbery aside, we think the SEAT wins on value every time. 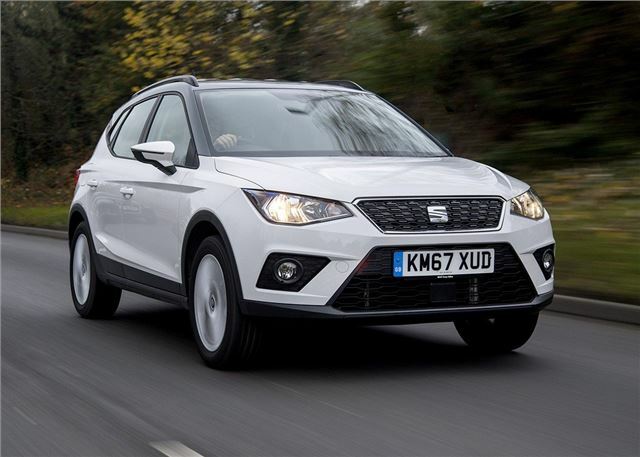 Is the SEAT Arona really the best car in its class? Surely not.